The Human Side Week 9: Flow and the Immersive Experience. A recent post occupancy survey carried out by Resource asked office workers to comment on what design feature most impacted on their productivity. 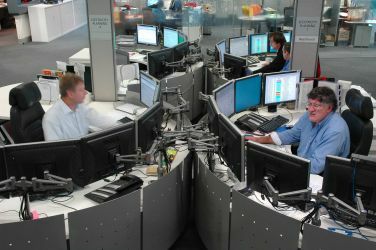 One feature commonly mentioned was having dual computer monitors at their workpoint. One respondent was so enthusiastic at having two monitors that they said that everything else in the workplace is icing on the cake.